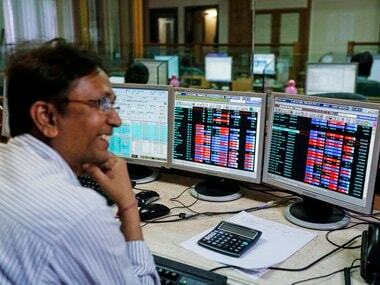 Mumbai:The BSE benchmark Sensex fell nearly 300 points to crack below the 34,000-mark today amid weak Asian cues after a US-led strike on Syrian targets fuelled fresh geopolitical concerns. The 30-share index fell by 293.31 points, or 0.85 percent, to 33,899.34 in opening trade. The gauge had gained 1,173.88 points in the previous seven sessions. BSE sectoral indices led by IT, tech, oil and gas, PSU, power, infrastructure and banking stocks, declined up to 1.45 percent. The NSE Nifty was trading lower by 84.25 points, or 0.80 percent, at 10,396.35. The NSE Nifty was lower by 84.25 points, or 0.80 percent, at 10,396.35. Shares of Infosys today opened on a weak note and fell to an intra-day low of Rs 1,099, down 5.98 percent from its previous closing price. 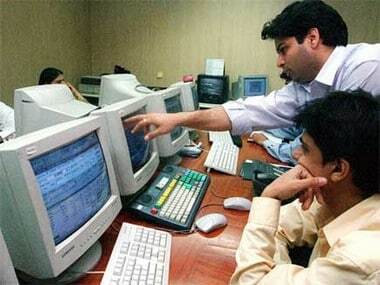 On NSE, the stock fell 5.92 percent to an intra-day low of Rs 1,102.00. 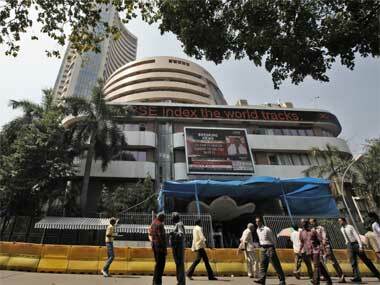 The stock was the biggest contributor to the losses on the Sensex. Global brokerage Nomura in a research note said "growth weakness in developed markets, BFSI and retail is a negative. We expect the stock to react negative to the margin guidance cut". The report further noted that "guidance for FY19 growth is in line with consensus, though a cut in EBI margin guidance to 22-24 per cent (as against 23-25 per cent earlier) was a disappointment". Infosys, on 13 April, reported a consolidated net profit of Rs 3,690 crore, or Rs 16.98 per share, in January-March 2018 quarter as compared to Rs 3,603 crore, or Rs 15.77 a share in the same period a year back. Other major losers were Tata Motors, Wipro, Axis Bank, ONGC, NTPC, RIL, Dr Reddy's SBI, Bharti Airtel, ICICI Bank, Maruti Suzuki, Asian Paint and Tata Steel, falling by up to 1.54 percent. Among other Asian markets, Hong Kong's Hang Seng shed 1.44 percent, while Shanghai Composite Index was down 1.05 percent in early trade. Japan's Nikkei, however, was up 0.26 percent. The US Dow Jones Industrial Average ended 0.50 percent lower in Friday's trade. The rupee fell 20 paise to 65.40 against the US dollar in early trade today on global trade war concerns, dip in India's exports in March and a sharp drop in domestic equities. India's exports dipped by 0.66 percent to $29.11 billion in March, even as they increased by 9.78 percent for the full 2017-18 fiscal. The rupee closed higher by 6 paise at 65.20 in the previous session on Friday on the back of positive macroeconomic data and firm local equities. Foreign institutional investors (FIIs) sold shares worth Rs 399.59 crore on net basis on Friday, provisional data showed.